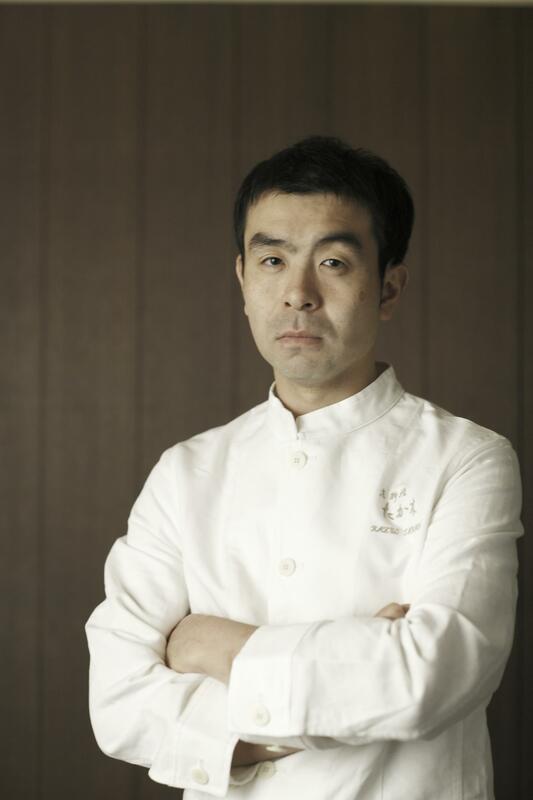 For Chef Takagi’s dinner menus, please scroll down. 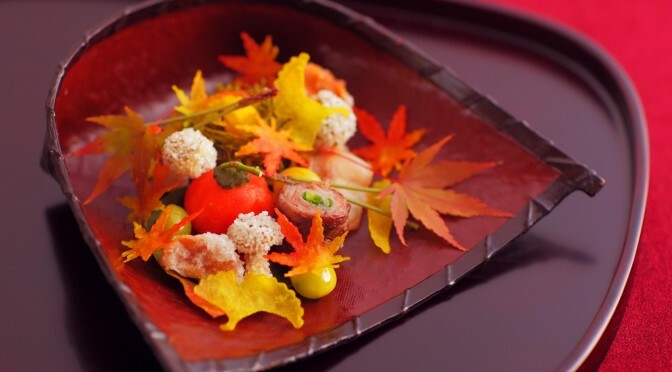 The Mandarin Oriental, Bangkok welcomes two Michelin-Starred Chef Takagi Kazuo to Lord Jim’s Restaurant at for a series of exclusive meals in February. For lunch, he will create a special sushi and sashimi menu and Buffet Lunch at THB 1,800++ (THB 2,119 net) on Monday-Friday and THB 2,500++ (THB 2,943 net) on Saturday and Sunday per person. Japanese Chef Hiroaki Ishizuka of 1 Michelin star Kien restaurant in the Akasaka district, Tokyo, conducted a cooking demonstration session exclusively at the 18th World Gourmet Festival, a major gastronomic event in Bangkok, hosted annually by Anantara Siam Bangkok. 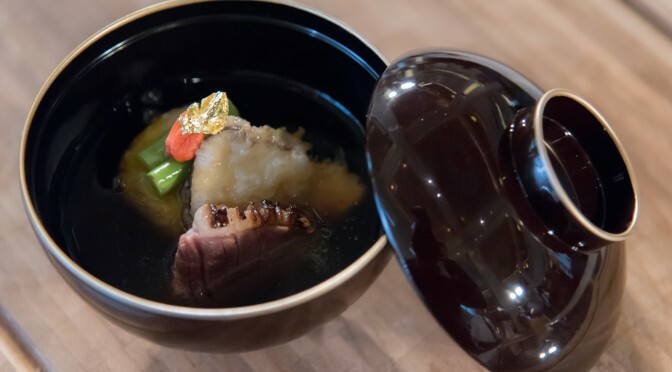 The dish presented on this occasion was a “Kuruma Prawn in Japanese Pumpkin Dumpling, Slow Cooked Duck Breast, Snow Peas”, which was one of the delightful 5-course menu served during the festival.